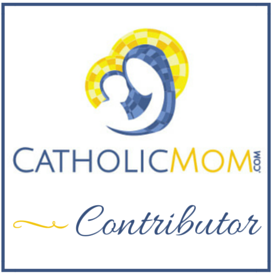 Welcome to another week of Small Success Thursday, hosted by CatholicMom.com! This is our chance to look at what’s going right in our lives and share our little victories with each other. Be sure to check out the other posts at the link-up and share your own successes there or here in my comboxes. I’ve been so terribly spotty in blogging or writing anything because it’s that time of year when I’m running like crazy to keep up with soccer and dance schedules, as well as homeschooling, co-op, and church activities for everyone in the family. Add my older daughter’s job to the craziness that I only just started getting used to, and you have one stressed-out mom. I should put that twenty-øne piløts song on loop right now. There are a lot of things going right this week. And, oddly enough, some of the successes I have are related to bad things that happened recently. A couple months ago, I charged up the batteries for my good camera, a point-and-shoot Canon that’s served me well over the last 8-10 years, and popped them in. The camera will not turn on. It’s a little upsetting because I was planning on taking my girls’ portraits with that camera, and maybe getting one more Big Trip in with it before saving up for a DSLR. Alas! This is not to be. And I’ve been okay with it. For everyday stuff, I’ve been using my iPhone, and we’ve decided to upgrade me over the summer to an entry-level DSLR. (Advice or comments would be appreciated. I’m thinking of the Canon Rebel T5i or, if I can find a really good deal, the T6i.) But I’ve been nicely detached about the camera. More of a challenge is being detached from my recently-dead iPad. It was working fine one night, the battery was down to 12%, and I plugged it in to charge overnight. In the morning, it was DEAD. As in, the computer doesn’t see it. As in, I do the reset trick with the buttons and nothing happens. As in, I asked on the forums and someone said, “If that’s what it’s doing and you’ve tried those things, then I’m sorry to say it’s dead for good.” I do try my Daily Detachment Exercise, which means I try the reset trick again and notice it’s still dead and then put it away for the day. When it first happened, I was a bit panicky. I mean, I did write my manuscript on that iPad. But I also remembered I had saved the manuscript on the Cloud, so I opened up the MacBook that the kids use for school, downloaded the whole thing, and stopped freaking out. (God bless the Cloud!) It’s inconvenient, to be sure (that’s also where I used my Kindle app to read my ebooks, which I loathe doing on my iPhone). But most of the things I need to do are also do-able on my phone and the computer. It’s just less convenient. #FirstWorldProblem, to be sure. This week has also been a success for discussions that had to happen between coaches and teachers and our kids. Our older daughter has been frustrated with soccer lately, and felt very hurt by some actions of the coaches at a game earlier this week. The atmosphere of the team has always been a good one: family-like, loving, encouraging. But she felt completely the opposite through a tournament and then game over the last week, and was so upset she actually cried the entire way home (and then some) on Monday. She never cries. (“Crying is for weenies,” she says.) She’s played soccer in one rec league or another for almost 15 years, and we did something for the first time ever this week. We contacted the coach to make a complaint about what’s been happening over the last week or so. He called us back Monday night and talked to Nathan (because if the Johnsons complain, it must be serious, he said), and they had a team meeting on Tuesday afternoon. At the meeting, the coaches apologized and promised to be better. They said there was no excuse for making the girls feel badly (because we apparently weren’t the only ones to complain), and by the end of the day, our daughter felt much better. The other conversation was between our 14 year-old and her dance teacher. I was supposed to be there to be her backup and moral support, but she wound up talking to her all by herself. (Major victory, right there!) After dancing at this studio for 9 years, our ballerina will be a ballerina no more. She has decided to stop dance lessons and start voice lessons. She hasn’t gotten enjoyment out of dance for a while now, and this entire year of dance consisted of her pushing herself to get that back again. She even took pointe, which she doesn’t enjoy at all. After trying all year to get her groove back and connect with dancing, she finally decided a couple of weeks ago that she didn’t want to take lessons any more. She analyzed it from all directions (that’s my girl), tried to figure out if it was temporary or not, and discussed it with her friends. And when her teacher asked her what she wanted to talk to her about, there was a moment of panic when she realized I wasn’t there yet before she realized that I wasn’t even going to talk to the teacher. She got brave and just said it all, explaining how much she loves the people and the teachers and the studio in general, but that she couldn’t be the kind of dedicated student she knows she needs to be. (And she even said she feels badly missing family things for rehearsals.) I’m super proud of her! What a long way she has come from the little second grader who couldn’t talk to her teacher about the mean girls in her class! Father McKay, celebrating his 70th birthday in February. As a side note, I’d like to ask you for your prayers. If you follow me on social media, you’ll see that I have a priest’s picture as my profile picture. This is our pastor, Father Alistair McKay, C. Ss. R. He announced last November that he’d been diagnosed with cancer of the liver and lungs. It eventually spread to his brain, as well, and he succumbed to it last Saturday. He was not alone, for which I’m grateful, and was attended by our choir director, a fellow Redemptorist priest, and a parishioner who is a doctor. The night before, he received Anointing of the Sick and a Mass was celebrated by his bedside. His funeral Mass will be Saturday and the presider is Bishop DiLorenzo himself. Please pray for the repose of his soul and for healing for his family (he has one surviving brother with a family) and for us, his spiritual children. Thank you. What about you? What’s going right in your life this week?